As some of you may know, I have been doing my bit to help improve local SEND where I live in Surrey - right now I'm running their new Local Offer social media on Facebook and Twitter (Go on, give them a follow 🙂 ). It was as part of this work that I met Surrey's new Designated Clinical Officer, Alison Stewart. 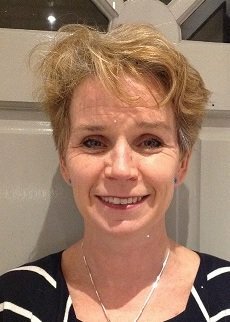 Alison is an experienced Speech and Language Therapist and Chartered Psychologist. Prior to taking on the role of DCO she managed a large Speech and Language Therapy service in Central London. Her particular clinical experience lies in working with children and young people with Autism Spectrum Conditions and their families. You can see by Alison's background, it's a role for someone with a great deal of knowledge and understanding of SEND. The DCO or DMO (Designated Medical /Clinical Officer is supposed to liaise between the local authority and the local NHS (called a Clinical Commissioning Group) so that a child who has medical needs can be sure to get those needs met in their Education, Health and Care plan provision. Anyone with knowledge of this area will know that getting health and the LA to cooperate through different systems, stretched schedules and different cultures isn't an easy job. As this role has caused a lot of confusion since the changes and it still isn't widely understood, Alison kindly agreed to write about her role in Surrey, bearing in mind that in different areas, the role varies. Having now been in this role for six months and experienced the quizzical look as I am asked to introduce my role, I have tried to capture the key elements of this position. This role has been developed as a result of the SEND reforms, there is a significant regional variation in how the role is managed and organised through the country. I have tried to describe below some of the common features following discussion with colleagues across the London network. Who is the DMO or DCO? This varies significantly through the country usually the Designated Medical Officer role will be undertaken by a Paediatrician whilst the Designated Clinical Officer role is fulfilled by an experienced allied health professional, for example a Speech and Language Therapist, Occupational Therapist or Nurse. Both roles require the person to have experience of working across agencies (health and education) and multi-agency working. 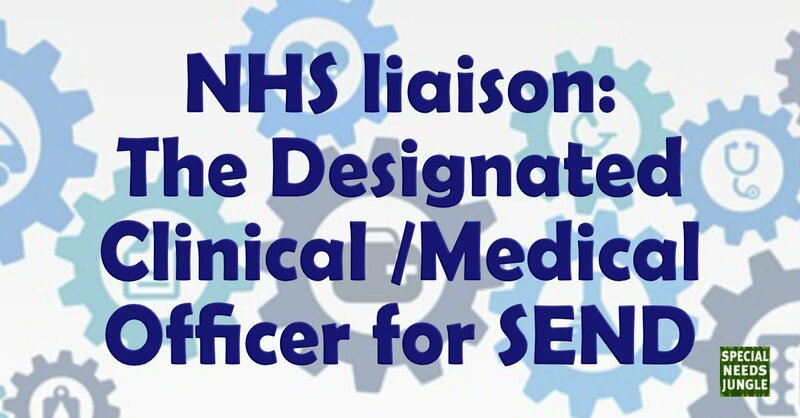 Where a Designated Medical Officer is in the post, this person has an oversight of the medical aspects of the assessment process and will be working with clinicians around timeliness and quality of medical advice. What is the role for? Ensuring an oversight of health needs and provision. In practice this is likely to mean that the DCO (Designated Clinical Officer) has an overview of the way in which health services identify the needs of children and young people, and also the way in which the assessment is provided as part of the Education, Health and Care needs assessment. The DCO also has a responsibility to understand the ways in which services are working to meet the needs of children, young people, and their families. This means working with partner organisations to consider the local profile of needs, quality of services and gaps in provision. The coordination element of the role is centred on liaison between partners involved, to include not only health providers but the local authority, parent carer groups, young advocate groups to ensure effective communication. This includes work on the local offer and ensuring clear process around mediation where necessary. The strategic element of the role includes working with local commissioning groups to support their understanding of the needs of children and young people in the local area and influencing joint commissioning. The DCO/DMO(Designated Clinical / Medical Officer) is likely to be involved in a variety of meetings and work streams which vary in different areas, but are likely to include Health and Wellbeing boards, SEND operational processes, SEND improvement boards, Transforming Care partnerships, Preparation for adulthood, Children and Young People Strategic Decision making . The DCO/DMO is likely to work with service providers to support their understanding of the SEND reforms and the Code of Practice, this may involve delivering training around writing advice for EHC needs assessment and developing person-centred outcomes. The DCO/DMO can also work with schools to support them in making provision for children with medical conditions. In some areas, the DCO/DMO will attend panels to provide a health perspective on provisions being discussed for individual children. In some situations the DCO/DMO may be involved in problem-solving discussions with families regarding provision for their child. Children, Young People and families: Responding to queries from case officers, service providers and in some situations children and their families directly. This may include working with service providers around individual needs (for example -Speech and Language Therapy Service, Occupational Therapy, Physiotherapy, Wheelchair services, Community Nursing and CAMHS). Parent Carer Forum and other parent groups: ensuring the voice of child and family is at the centre of planning and principles for service delivery. Local Authority liaison: participation in multiagency meetings and may include specific work around the way in which health and local authority develop processes to ensure timeliness and quality of advice. This also includes liaison around health elements of Education, health and care plans, and specific projects relevant to the needs of local areas for example ,working with Area Special Needs Manager to review data around tribunals in order to identify triggers and learn from these experiences). Service providers; may include preparation for Local Area Inspection, supporting the development of practice through training around the Children and Families act and specific areas such as outcome writing. Identifying gaps in services and working with the services to try and resolve this. In some ways this could be described as the role of a “critical friend”. Clinical Commissioning Groups: ensuring CCGS are compliant with the health elements of the Code of Practice and working with Commissioners around joint strategic needs assessments and ensuring that any areas of need identified through local area inspection are addressed. This varies by region, in some cases, the post sits within Clinical Commissioning Groups and is line managed by the Children’s Commissioning team. In other regions by the Director of Quality or Transforming Care and in some cases the post sits within provider organisations. Ultimately, however, the post is accountable to children, young people, and families within the local area. Local networks of Designated Clinical/ Medical Officers are being developed with the support of the Council for Disabled Children and NHS England to ensure opportunities for sharing best practice. The DCO/DMO can generally be contacted through the local authority or local Clinical Commissioning Groups. Thank you. It took some digging but I was able to get a hold of an email for my local authority but whether i hear back of not is another story due to the closed ranks nature of my local authority but thanks for getting back to me.